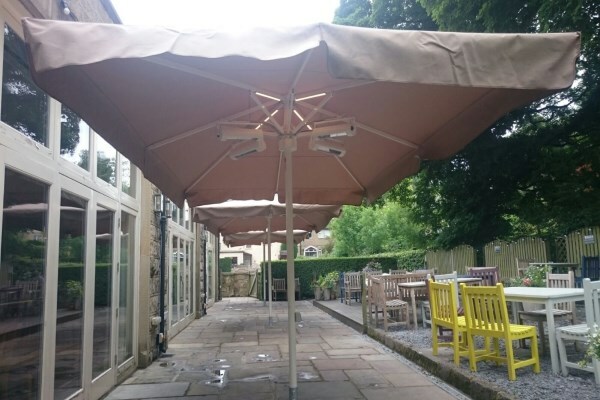 Our giant umbrellas are of the highest quality, thanks to our connections and relationships with different manufacturers around the globe! 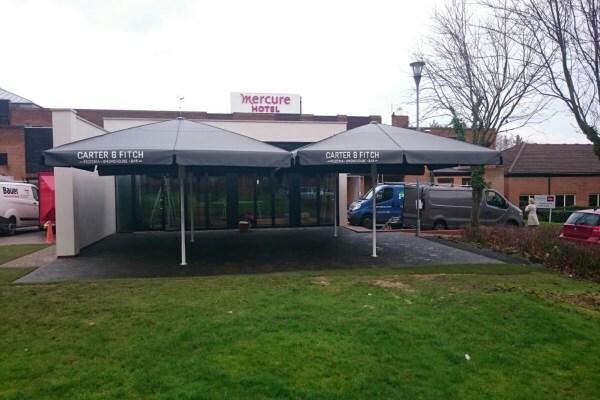 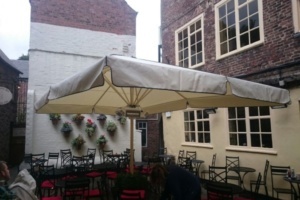 We can offer a wide range of large outdoor umbrellas and giant patio umbrellas for a range of uses. 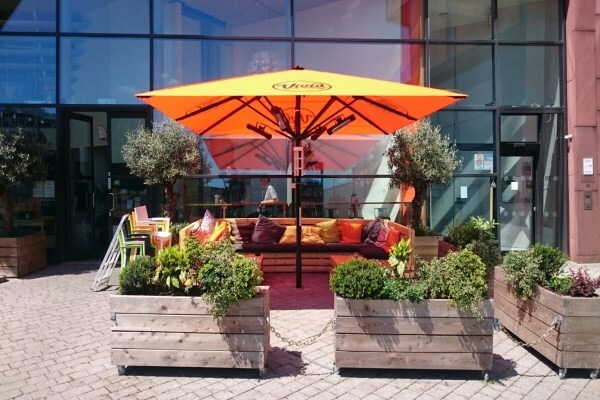 Our variety of colourful and fully customisable large patio umbrellas can be selected depending on your taste and how it would complement the rest of your garden. There are various ways you can customise your giant outdoor umbrella, from LED lighting to heating – you can even print logo or branding onto the giant umbrellas too! Our range of large patio umbrellas here at Awnings & Canopies have been thoroughly wind-tunnel tested, and can withstand a wind force of 10. 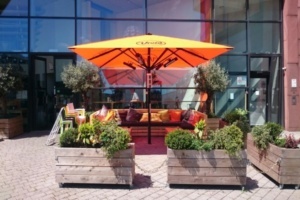 There will be no issue with weather, since each giant outdoor umbrella is made of high-quality materials while keeping an elegant design. 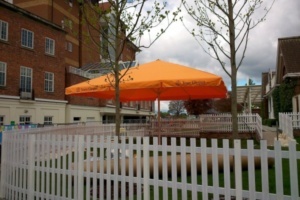 The giant patio umbrellas come in a selection of different sizes that range from 2.5m up to 10m in diameter. Maintenance for your large outdoor umbrellas is also a service that we are fully equipped for and will aid to lengthen the lifespan of your giant umbrella! 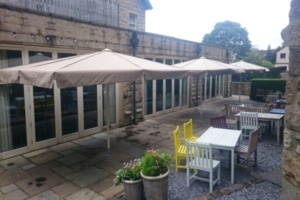 Giant patio umbrellas can give an enormous amount of shade for those sunny days where you want to be outside but don’t want the heat beating down on you. 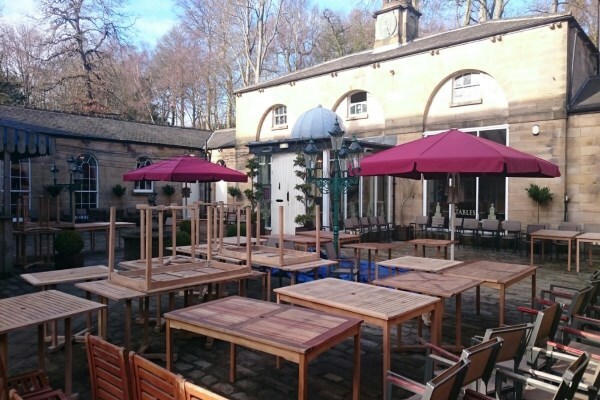 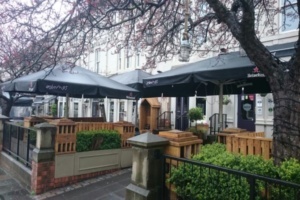 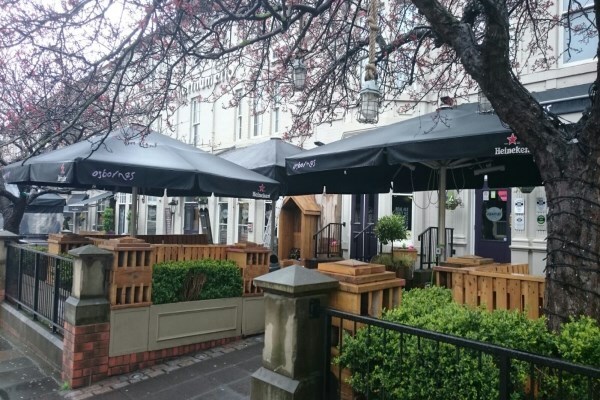 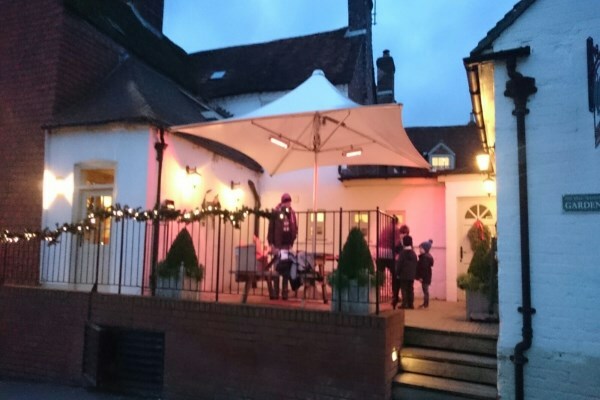 Our range of giant outdoor umbrellas and large patio umbrellas have been specifically designed for the British climate, to make sure it can withstand any harsh rain or wind that come its way.